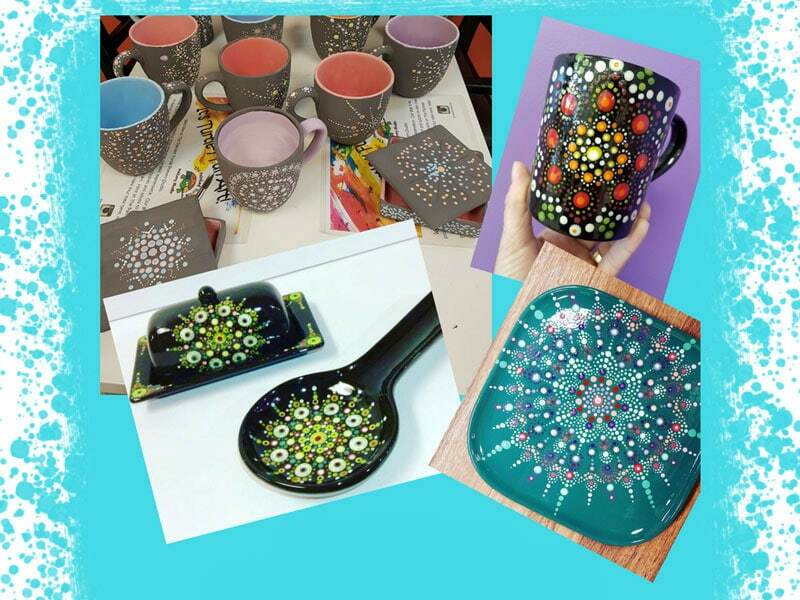 Join us for a creative night out! 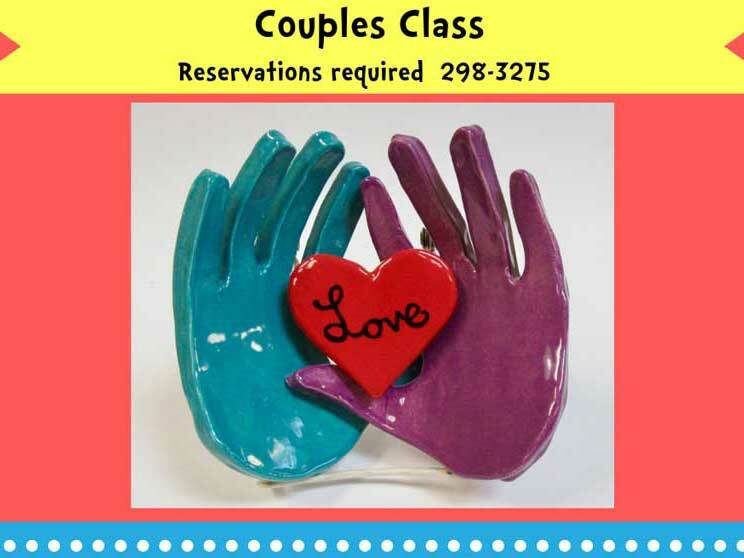 Bring a date – come and paint! 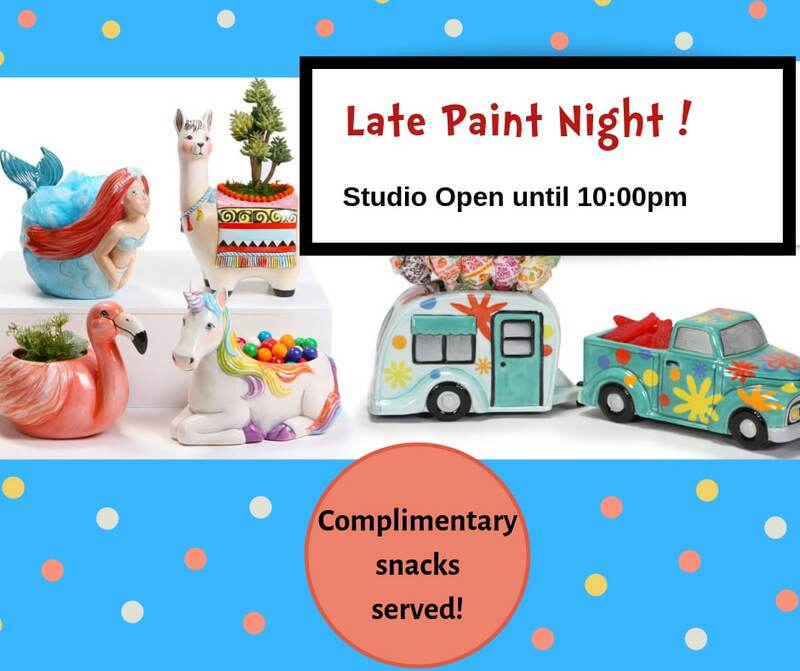 The studio will be open until 10:00pm. We will serve snacks and play some great music just for you. We have over 1000 items to choose from.